Grey Coconut is a design and development company specialising in customized website designs and development on WordPress. Located in New Delhi, India we are a small, eclectic team and cater to clients worldwide. Logo design and brand collateral. Content management system on WordPress. Website maintenance, support and security. We specialise in website design for doctors, hospitals, medical professionals and medical consultants. Click here to view our Medical portfolio. Contact Us today to discuss your requirement. 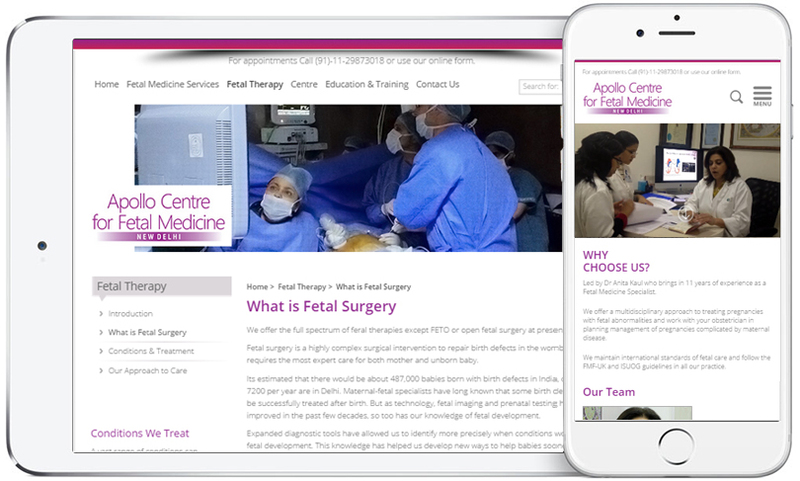 Responsive Website for Apollo Centre for Fetal Medicine, North India's leading fetal medicine centre.